Then, on March 2, MTN revealed it had racked up annual losses for the first time—2.6 billion rand ($199 million). The chief reason: Last year Nigerian regulators hit it with a massive $1.7 billion fine for its failure to adhere to phone SIM card registration rules. (It could have been worse—the original fine was $5.2 billion.) The fine led to an unraveling of senior management. A new chief executive, Rob Shuter, formerly of Vodafone, will start on March 13 along with a team of other new leaders. Yet despite the loss, MTN’s shares were up 4.9% at the close of market on Thursday (Mar. 2). That was because MTN nonetheless paid out a dividend of 700 cents per share for 2016 and promised to do the same in 2017, reassuring investors that for now it has a handle on its finances. For all MTN’s misfortune in Nigeria, the country is its biggest market by subscriber numbers and its second biggest in terms of revenue. There’s also still plenty of room for it to make more out of each subscriber, as it grows the use of services such as mobile money and video. 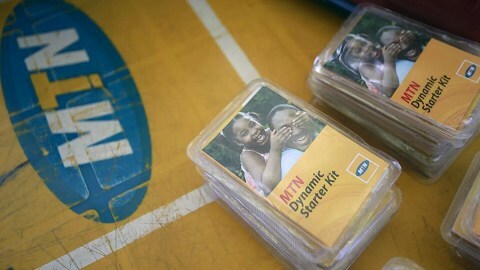 Some of MTN’s technology partners privately tell Quartz the South African company ran into problems with Nigeria’s regulators because it arrogantly believed the Nigerian government wouldn’t go through with threats to issue a harsh fine. Now the company is spending a lot of energy making nice. Bloomberg says MTN is getting closer to a stock-market listing in Nigeria—one of the settlement terms for negotiating a lower fine. The plan is unlikely to boost MTN’s finances in the short to medium term, analysts say, but will earn it goodwill against any future regulatory clashes. The Nigerian stock market shrank by 6.2% in 2016, so floating the country’s largest phone network should help restore some confidence in the exchange. Being known historically as a South African company—though it has 240 million subscribers around Africa and the Middle East—has also become a problem for MTN. Following a spate of xenophobic attacks against Nigerians and other Africans in South Africa, some groups in Nigeria have called for a boycott of South African companies. MTN’s offices in Abuja, the Nigerian capital, were attacked last month and ransacked by a mob in response.